A whole-system global transition is underway and accelerating as human activities encounter planetary boundaries. Globalization of our technologies of transportation and communication are unleashing disruptive business models while changing demographics and new political forces are now clashing with incumbent industries and elites. As uprisings challenge aging power structures, old orders and paradigms spread from the Occupy movements against austerity in Europe, the youth revolts of the Arab Spring to the demonstrations demanding democratic participation in Turkey and Brazil, new generations are demanding change. They’re also becoming better-informed and aware of all the positive futures in the faster transition to cleaner, more inclusive, information-rich economies pledged at Rio+20 by 191 countries in July 2012. As old-style “strong men” and inflexible elites are challenged and slowly disappear, what are some of the growing alternatives to measuring sustainability, shifting our accounting away from “economism” and its stale, Industrial Era principles? Futurist and Economist Hazel Henderson reports onTalkback. Jeff Mendelsohn’s mission was to pioneer markets to prove that sustainable business is a viable avenue to create profit. So he started New Leaf Paper, a $30 million, privately-held paper company that has set the standards for 100 percent recycled paper in the mainstream. In this week’s video interview with Noble Profit, Mendelsohn offers unique insights on the driving ethics of sustainable business, shares his vision of New Leaf Paper as a catalyst for change and how a “smart taxation” policy on carbon can help lift the U.S. economy out of its environmentally degrading dependence on fossil fuels. OnTalkback. “Small business owners see the adverse effects climate change is already having on local economies. 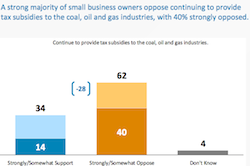 Many business owners support a national shift to renewable energy sources that will protect American… Read More. Learn more – and take a look at the survey responses. Waste is anything that cannot be sold, right? So why aren’t business creating less waste? This video explains why sustainability is good. Cloud computing may not seem all that eco-friendly but a closer look reveals a number of benefits.